The Celestron 0.7x Reducer Lens features a custom 5-element optical design and is engineered to maintain the flat-field performance of the EdgeHD 1400 aplanatic Schmidt optical tube assembly (OTA). 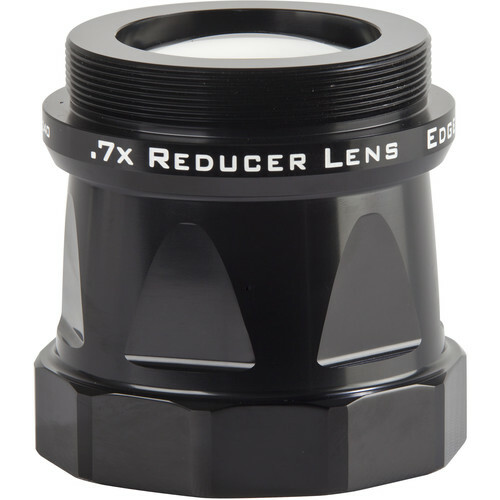 This reducer lens provides a substantial 5.75" back focus to accommodate an assortment of imaging accessories. It offers high index optical elements, including extra low dispersion, Lanthanum elements, which provide high contrast viewing while minimizing chromatic aberration. All air-to-glass surfaces are treated with multiple layers of anti-reflection coatings for maximum light transmission and color correction, and the interior of the housing has blackened edges to minimize internal reflection and further enhance image contrast. 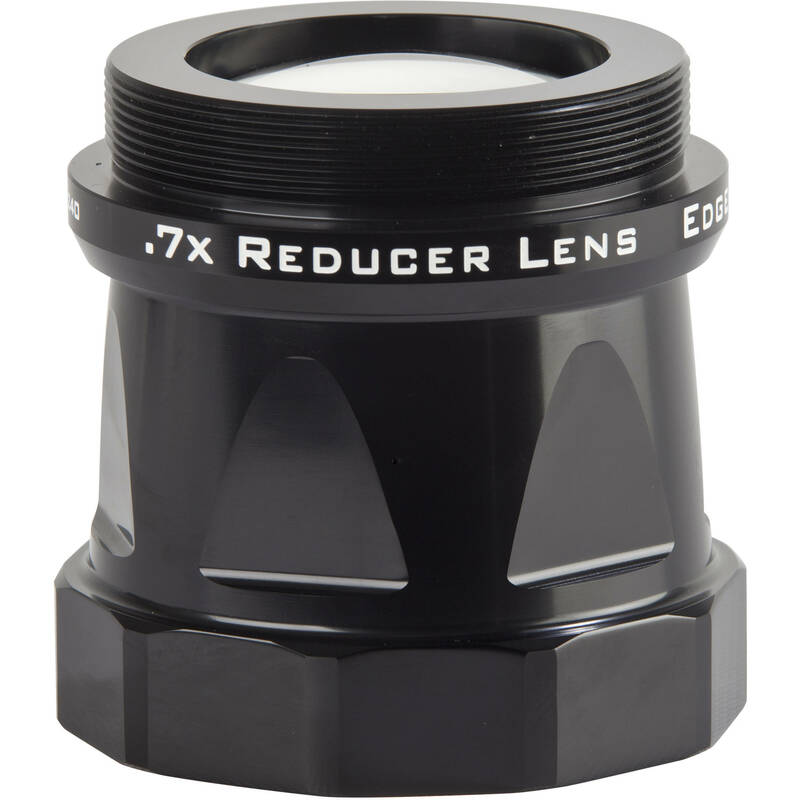 The reducer lens features large-diameter lens elements and up to 60mm clear aperture, which ensure that the image circle remains at a generous 42mm for use with large CCD sensors. The mechanical design incorporates a computer-assisted CNC machined aluminum housing for precise spacing and alignment of optical elements and threaded metal covers on the lens assembly to protect your lens from dust and scratches. Box Dimensions (LxWxH) 5.95 x 5.9 x 4.9"